A poisoned bolt has struck down the Princess Anita on the day of her wedding to Prince Arutha of Krondor. 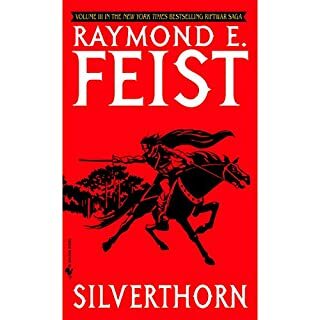 To save his beloved, Arutha sets out in search of the mytics herb called Silverthorn that grows only in the dark and forbidding land of the Spellweavers. 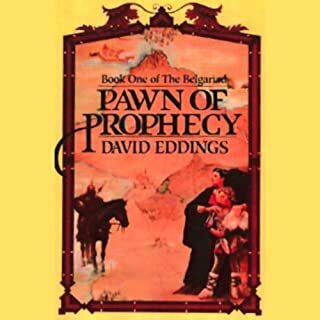 Accompanied by a mercenary, a minstrel, and a clever young thief, he will confront an ancient evil and do battle with the dark powers that threaten the enchanted realm of Midkemia. To the forest on the shore of the Kingdom of the Isles, the orphan Pug came to study with the master magician Kulgan. But though his courage won him a place at court and the heart of a lovely princess, he was ill at ease with the normal ways of wizardry. Yet Pug's strange sort of magic would one day change forever the fates of two worlds. For dark beings from another world had opened a rift in the fabric of spacetime to being again the age-old battle between the forces of Order and Chaos. An evil wind blows through Midkemia. Dark legions have risen up to crush the Kingdom of the Isles and enslave it to dire magics. 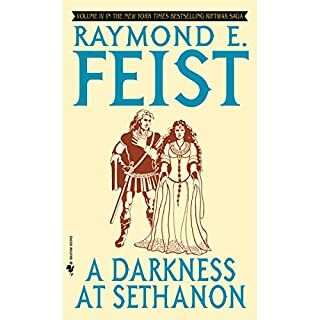 The final battle between Order and Chaos is about to begin in the ruins of the city called Sethanon. Now, Pug, the master magician sometimes known as Milamber, must undertake an awesome and perilous quest to the dawn of time to grapple with an ancient and terrible Enemy for the fate of a thousand worlds. Great story, pretty meh narrator. 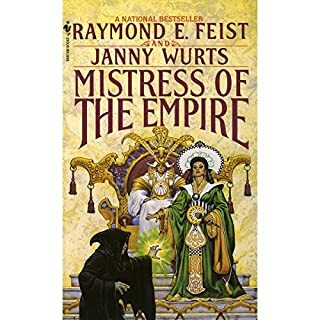 Besieged by spies and rival houses, stalked by a secret and merciless brotherhood of assassins, the brilliant Lady Mara of the Acoma faces the most deadly challenge she has ever known. The fearsome Black Robes see Mara as the ultimate threat to their ancient power. In search of allies who will join her against them, Mara must travel beyond civilization's borders and even into the hives of the alien cho-ja. As those near and dear to her fall victim to many enemies, Mara cries out for vengeance. Long recovered from the ravages of the Riftwar, the land and people of the kingdom of the Isles thrive. Nicholas, the youngest son of Prince Arutha, is intelligent and gifted but vastly inexperienced. In hopes of hardening him, his father sends him and his irreverent squire, Harry, to live at Rustic Castle Crydee to learn of life beyond the halls of privilege. 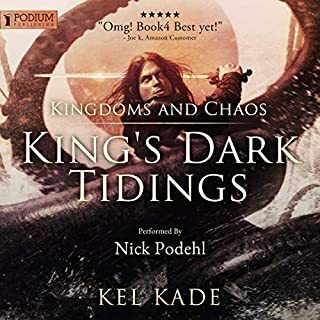 But within weeks of Nicholas and Harry's arrival, Crydee is viciously attacked by unknown assailants, resulting in murder, massive destruction, and the abduction of two young noblewomen. 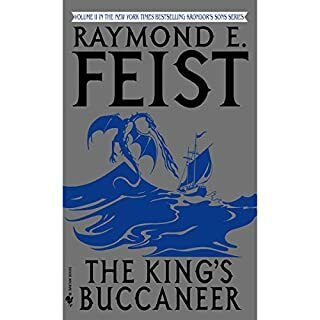 excellent and masterful story yet again by feist! 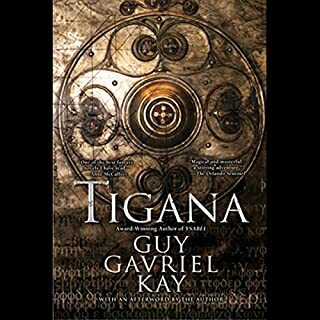 Tigana is the magical story of a beleaguered land struggling to be free. 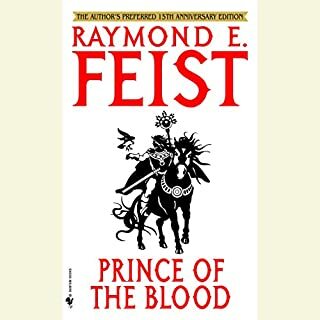 It is the tale of a people so cursed by the black sorcery of a cruel, despotic king that even the name of their once-beautiful homeland cannot be spoken or remembered. 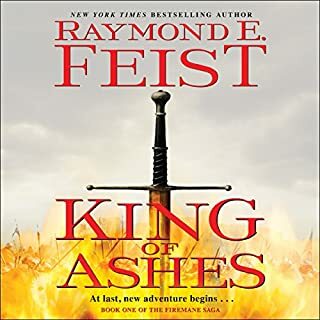 But after years of devastation, a handful of courageous men and women embark upon a dangerous crusade to overthrow their conquerors and bring back to the dark world the brilliance of a long-lost name: Tigana. 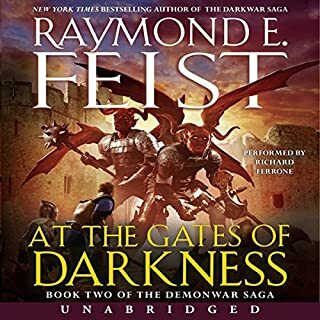 Ten years after the terrible Darkwar finally ended, catastrophe once again threatens to engulf Midkemia and Kelewan, as the demon hordes continue their relentless quest to infiltrate this realm of magic and wonder. Long ago, so the Storyteller claimed, the evil god Torak sought dominion and drove men and Gods to war. But Belgrath the Sorcerer led men to reclaim the Orb that protected the West. So long as it lay at Riva, the prophecy went, men would be safe. 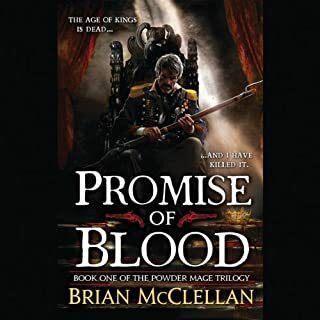 That was only a story, and Garion did not believe in magic dooms, even though the man without a shadow had haunted him for years. Once he was an orphan called Pug, apprenticed to a sorcerer of the enchanted land of Midkemia. Then he was captured and enslaved by the Tsurani, a strange, warlike race of invaders from another world. There, in the exotic Empire of Kelewan, he earned a new name - Milamber. He learned to tame the unimagined powers that lay within him. And he took his place in an ancient struggle against an evil Enemy older than time itself. 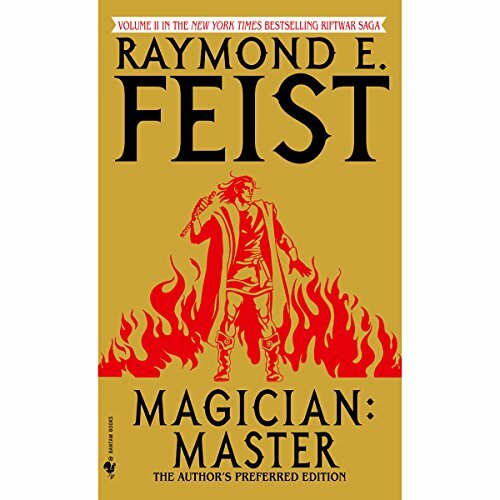 I love how in both this and the first part of the Magician story Feist can show long periods of time passing where we can grow with the young men and those back home. Everyone grows to their fullest potential while learning of a huge threat coming. When I first bought this book it was missing most of the first chapter. 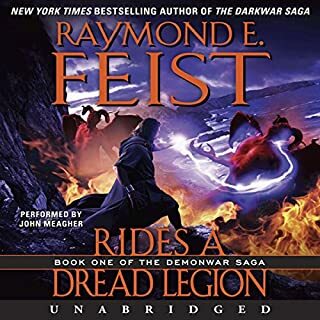 Audible has resolved this technical issue since I first bought the book and I listened only after the file was restored to its full length 18hrs 22min). 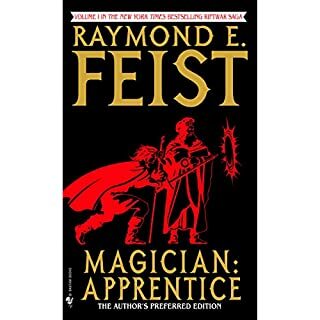 And I found it an enjoyable continuation from the first book Magicians Apprentice. 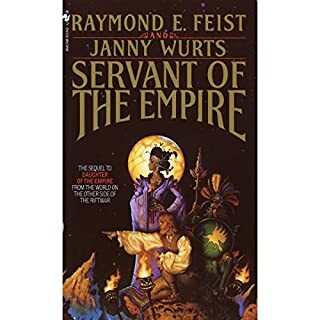 The story is a familiar one, but well written and the characters are engaging. 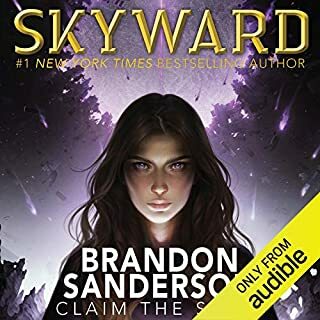 I reported this issue to audible as soon a started listening to the book, and got a response showing they didn’t really list to my complaint. If you have read-the paperback the audio stops about page 4 and the story pickups up in chapter 2 on page 16. Dropping major story plot lines. 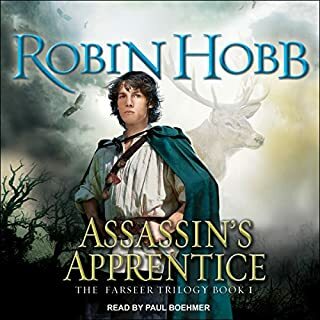 Audiobooks need to fix this for their listeners because we bought an unabridged book and end up with an abridged one. Awesome though chapter 1 was shortened. What happened to chapter 1? There is a large portion missing about the overseer and his attack on Pug and Pug’s hand injury. Not sure why it was cut out. Not sure I like that. I love this story and the performance is great, but it only has 2 pages of the first chapter. 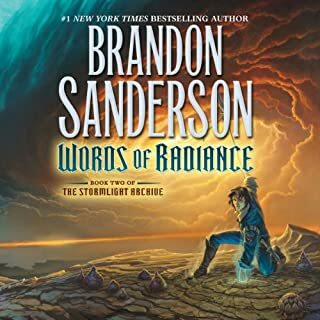 This is an awesome adventure, the down side is Chapter 1 is missing most of the chapter, and chapter 2 is missing several parts also. I wish the entire book was available and ready to go. I have waited many years for these to be released. Great books from my youth that are timeless classics . One of the best series ever written. The Hobbit- and how they weave into the series of the Empire’s daughter is just captivating. for me this is better than lotor, and im a lotor fan. The story itself is pretty entertaining, taken as a whole; however the pacing is uneven, and flat out boring in spots. 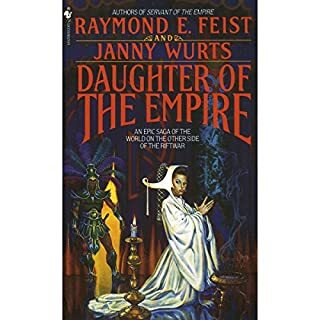 This is the extended version of what was originally published as a single trimmed-down book, later published as two books with the trimmed portions restored. While I understand the author's desire to present us with what he originally intended, I think the original version was a better read. The second book in the riftwar saga brings answers to hanging questions of the first book. I look forward to book three.